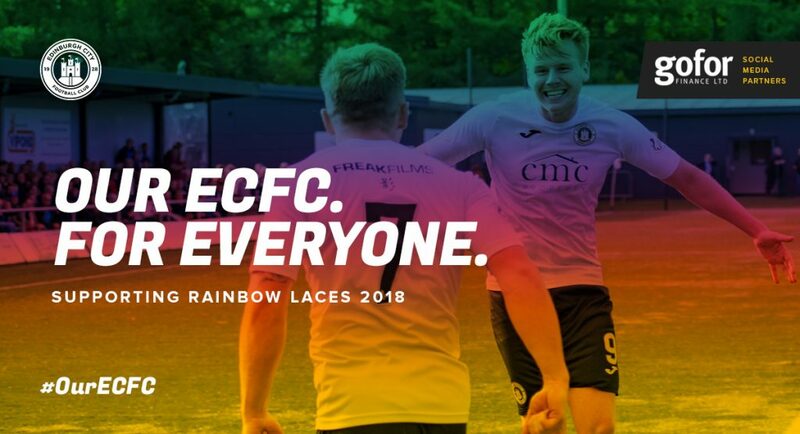 Edinburgh City Football Club is delighted to be showing our support for lesbian, gay, bi and trans players and fans by wearing Rainbow Laces at our Ladbrokes League Two match against Queen’s Park on Saturday 1st December 2018. We can only stop homophobic, biphobic and transphobic behaviour and language from happening in football by showing that it is not acceptable, at every level of the game. We are dedicated to eradicating any forms of homophobic, biphobic or transphobic behaviour and making sure Edinburgh City Football Club]is a place where LGBT fans can be safe and accepted. We need you to stand with us as allies to LGBT people.